Comedy Tells the Truth, Declares Zach Galifianakis. With Baskets , That Would Be the Painful Truth. 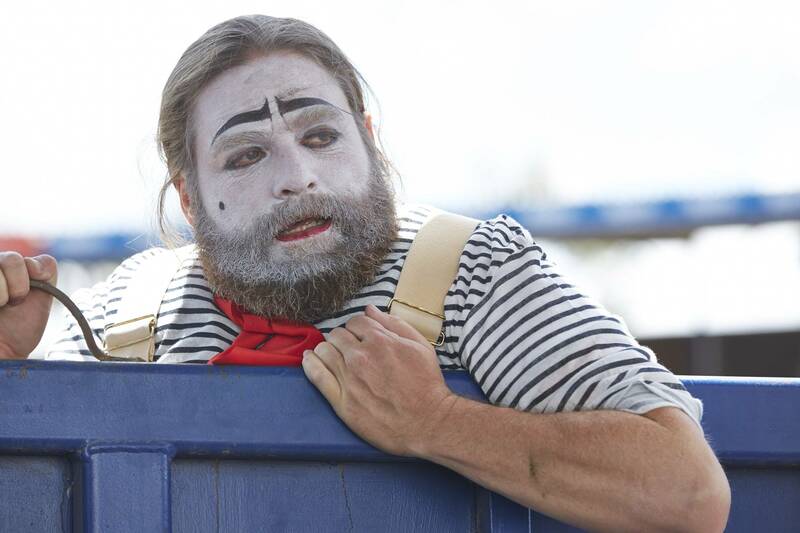 Zach Galifianakis's character in the new FX comedy Baskets had dreams once, and they didn't include playing a rodeo clown in Bakersfield, which is what Chip Baskets is now doing. Chip still makes people laugh, sometimes uproariously and sometimes intentionally. More often he feels like he disappoints people, none more than himself. Welcome, says Galifianakis, to the reason that comedy has become the go-to art form in contemporary popular culture. "Comedy is king now," he says, "because we're the ones who are talking about real life." He means that in a broader sense, but it could apply to Baskets, whose executive producers and co-creators include Galifianakis, director Jonathan Krisel and Galifianakis's pal Louis C.K. Nominally a half-hour comedy, Baskets sidesteps easy categorization in the same way as Louis C.K. 's acclaimed sister FX show Louie. It can be cruising along as a slapstick comedy, with well-meaning Chip tripping over his own clown feet, when suddenly he gets slammed by something that crushes a little corner of his soul. From childhood, Chip Baskets has dreamed of becoming a French clown. His mother, played by Louie Anderson, sends him to French clown school. But he has somehow overlooked the fact he would need to speak French, and he returns home defeated. The only clown job he can land is at the rodeo. While he dreams of evoking the grand pathos of classic clowns, the people in the half-empty grandstands only want to see the guy in the funny suit get knocked down by a bull. "With this show, you have to find the balance," said Galifianakis. "But in sadness, there are things that are funny. Sadness itself can be very funny. Laughter and crying are cousins." As with Louie, he says, it's a mix that won't appeal to everyone. "I'm an acquired taste," he says. "You never know how people are going to like it. You can't control that. You just do what you think is good. If I need a gauge, I call my sister. If she likes it, it's in." Chip Baskets does have company on his adventure. He has his mother, his twin brother Dale and his sister Sarah (Malia Pyles). He also has a wife, Penelope (Sabina Sciubba), who unfortunately isn't much help because she lives in Paris with her boyfriend and their two children. She married Chip so she could get a green card. Chip also has Eddie (Ernest Adams), his sympathetic but bluntly realistic boss at the rodeo, and Martha (Martha Kelly). Martha enters his life as his insurance claims adjuster, driving a car with a Costco logo, after he has a vehicular mishap. She falls for him. He does not reciprocate. He showers her with dismissive abuse, all of which washes off her back. She becomes his assistant. "She's the opposite of him, except they're both lonely," says Galifianakis. "Why else would she glom onto him? "But I wanted a character who can soften him, maybe clear the road a little bit. She's the right personality for his meanness to come at. He doesn't quite know what to do with her." As portrayed in Baskets, Chip and Martha's relationship may seem a little extreme. Galifianakis says it's not entirely fictional. "You see it sometimes," he says. "He's acting out how mean human beings can be in real life." That said, he suggests that in spite of everything Chip would insist, "He and Martha are friends." 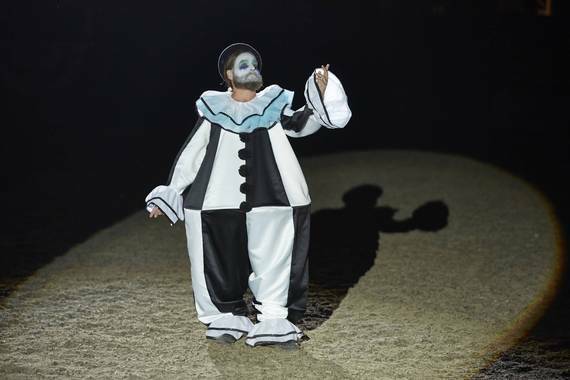 Galifianakis also says that in spite of Chip's frustration with his own situation, "I can absolutely see someone living a very happy life as a rodeo clown in Bakersfield. It's just that for our purposes, you need conflict for comedy." And by the way, he adds, we also need comedy. Comedy reflects the fact that most of our lives include a full spectrum of events and emotions, from tragedy to bliss. Furthermore, says, we trust comedy to handle all of that honestly. "Comedy is so good for us," he says. "I understand people won't like some things in comedy. But we need to offend people sometimes, because there are things that need to be made fun of. "After 9/11, a lot of radio stations wouldn't play Bob Dylan. It was like we became afraid of music that spoke out. Comedy stepped in. You had the rise of someone like Jon Stewart, because he was talking about what was really happening. "That's what comedy does now, and why it's so important. Comedians are not afraid."